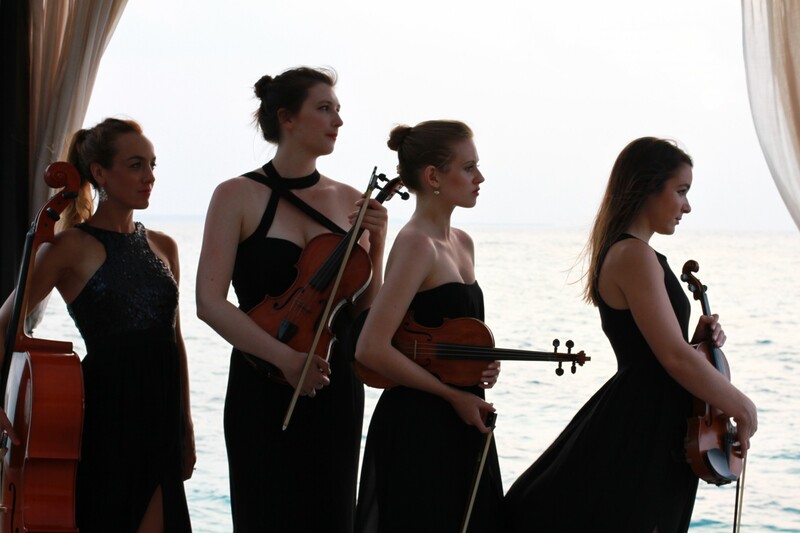 Salt String Quartet deliver polished and elegant performances of the highest musical calibre. Drawing from an expansive repertoire of Classic, Contemporary, Jazz and Pop favourites, Salt ensures that every performance is tailored to meet each clients individual specifications. 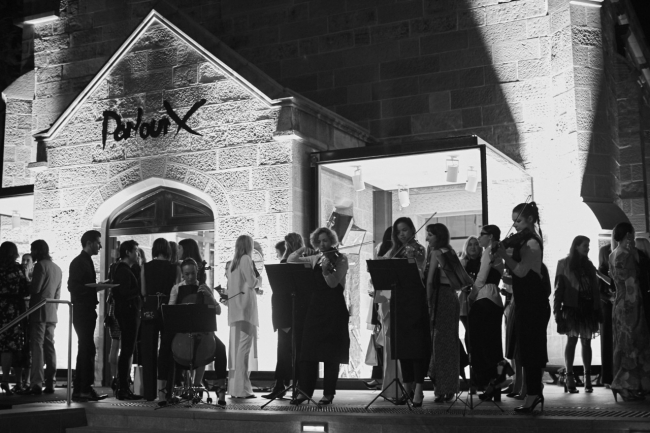 Consisting of a selection of Sydney’s finest emerging professional string players, members of the group have studied under highly-regarded luminaries such as Imre Pallo, Goetz Richter, Roger Benedict and Alice Waten, and have performed with the Sydney Symphony Sinfonia, The Austrialian Youth Orchestra and Sydney Camerata. Having participated in highly acclaimed tours both in Australia and abroad (most recently at the 2014/15 NYE Celebrations for Velaa Private Island in The Maldives) the group contains musicians of exceptional virtuosity and with a diverse range of experience, including television appearances, concert hall performances, radio broadcasts and studio recordings. "Alley thank you so much. You were such a pleasure to deal with from the very beginning. The music at both the church and the reception contributed hugely to the magic of the day. We are still on cloud nine!" "I just wanted to say thanks so much to the Salt String Quartet for playing at our wedding yesterday. They were amazing and were a big hit!!"